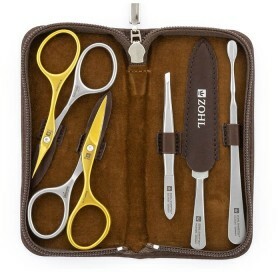 Zohl introduces high quality manicure set for women who like the best nail instruments for their nail care. 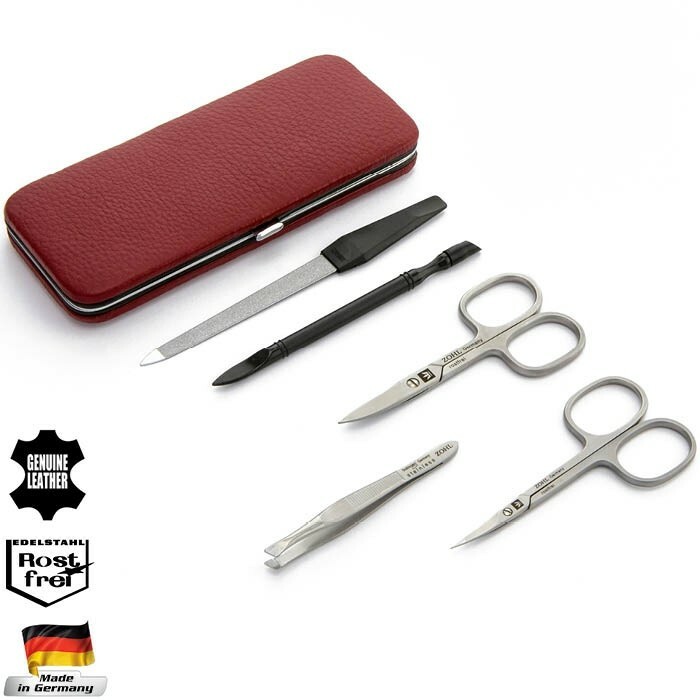 Made in Germany from rust proof stainless steel, the set includes 2 pairs of professional manicure scissors for trimming nails and cuticles, eyebrow tweezers, nail file and combination nail cleaner with cuticle pusher. Genuine leather case in soft burgundy tone handsomely secures all tools and makes an elegant gift for a lady on any occasion: Christmas, Birthday, Mother's Day. 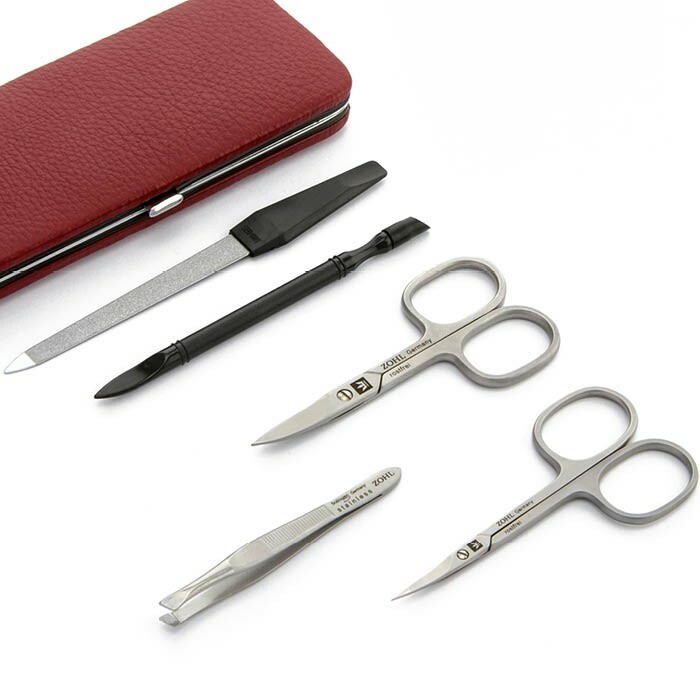 Treat yourself or give it to someone special - authentic German manicure set Venetta is one of a kind accessory she will enjoy for many years ahead without any need of sharpening. Made in Germany. 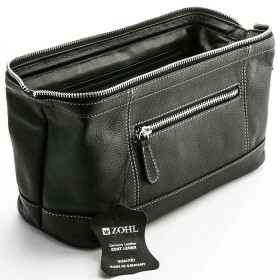 Among the best gifts for women, high quality German manicure set Venetta by Zohl is a beautiful present to delight her and add to her beauty kit. 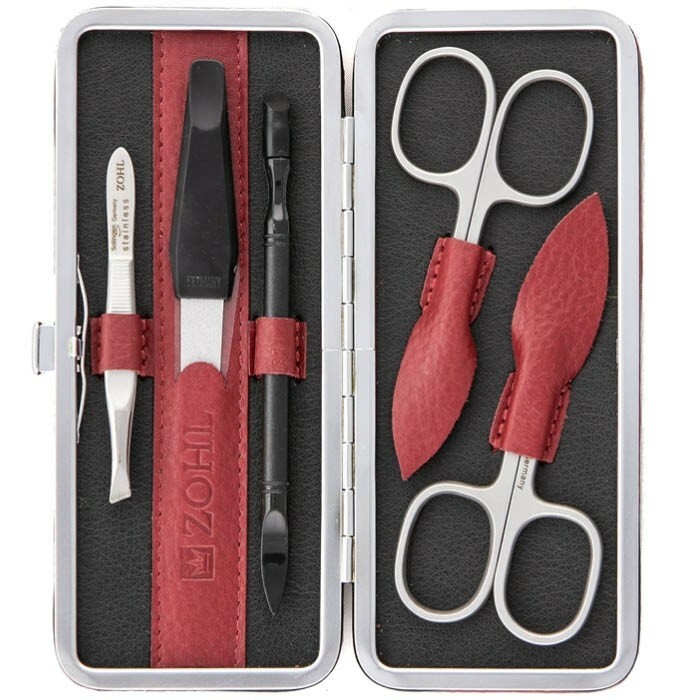 This manicure set is crafted in Germany - the land of the world's best cutlery, and offers long lasting cutting edge that does not need any re-sharpening for many years ahead. High quality, rost proof stainless steel along with meticulous honing of the blades, is what makes this set unique and investment-worthy. 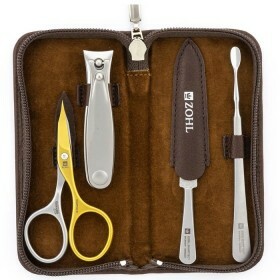 Enjoy precise trimming of your nails and cuticles with professional manicure instruments that are perfectly sharpened, and importantly, will stay sharp for a very long time. 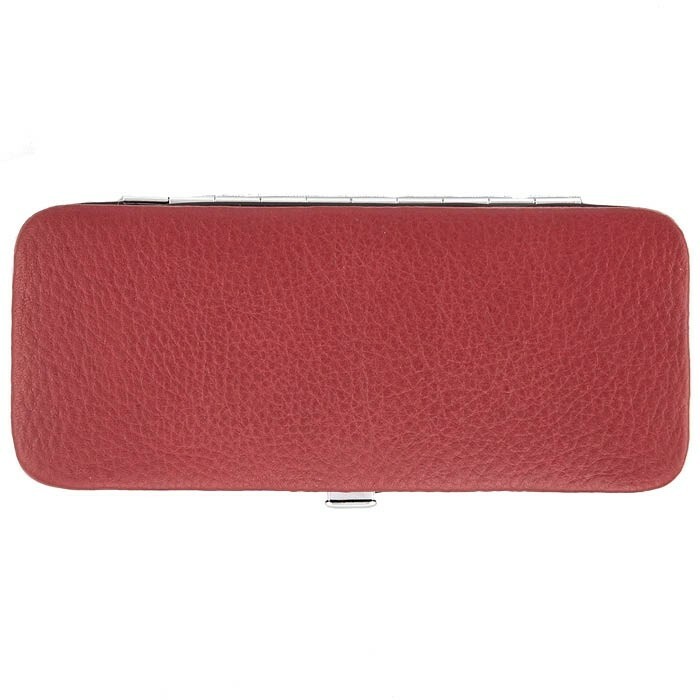 Metal-framed soft burgundy leather case with a push button is crafted of genuine cowhide and elegantly offset by black leather lining. This feminine combo makes it an irreplaceable accessory for any woman who likes the look of well-cared hands. 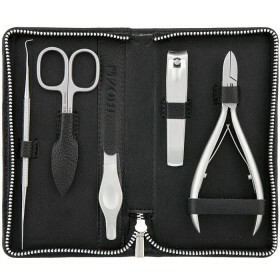 Combined cuticle pusher and nail cleaner (11cm). Case measurement (closed): 14.5 x 6x 1.5 cm.